WORTH CO., GA (WALB) - Our partners at the Moultrie Observer report that as of Thursday, nearly 400,000 Georgians participated in early voting, and that number is growing. Worth County officials said that the number of people voting early in that area is also rising. A few voters on Tuesday said it’s because of the convenience it provides. But little do they know, early voting is increasing all over the state, which could impact the election. “I generally always vote early because I don’t like to tie myself down to a certain time I’ve got to vote,” said Van Powell, an early voter. Powell is like many voters hitting the polls early to avoid a schedule conflict. “If they wait until election day, something might happen,” Powell said. Voters like Lisa Jackson said they vote early for every election. “I’m not a procrastinator, so as soon as the polls are open for early voting, I get out and vote,” Jackson explained. Officials have seen this ambition all over the state. “We’ve had close to 100 a day since we’ve opened,” said the Chairman of the Board of Elections Hugh Donnan in Worth County. Donnan said it’s what is on the ballot that’s bringing voters out. “This is a contested race for governor and lieutenant governor and secretary of state and I think we are having better turnout because it’s all local to the state of Georgia,” explained Donnan. With big races on everyone’s radar, Jackson said she expects to see early voting numbers continue to increase. “I’m actually glad to see voter turnout for early voting this year, mainly because I think it will have an impact on bringing other voters to the polls early and bring out new voters to the polls,” said Jackson. In Worth County, the polls will be open from 9 a.m to 4 p.m. this Saturday. 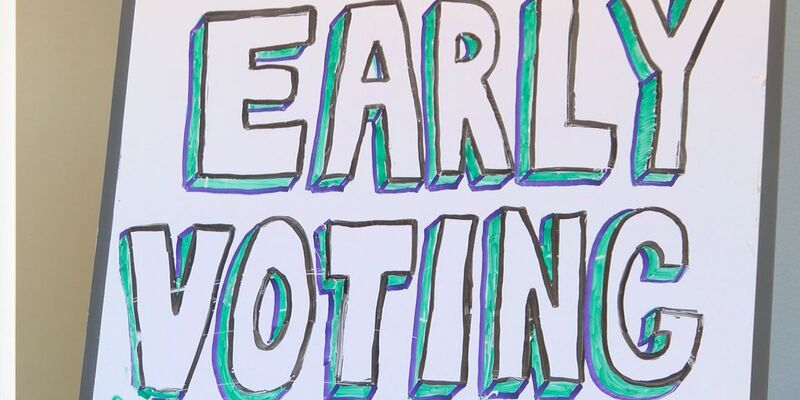 Voters have until the Friday before the general election to participate in early voting.